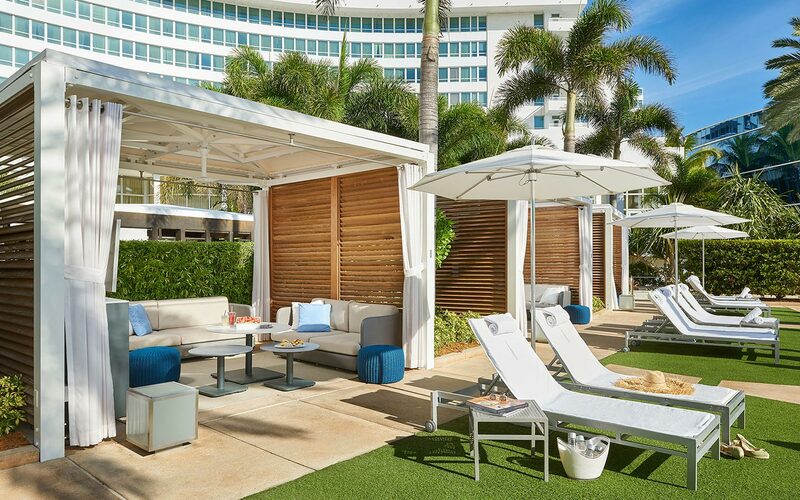 At Fontainebleau, summers are meant for sun-soaked days and fun-filled nights. With the Summer Paradise package, it’s even easier to extend your stay and enjoy all that Fontainebleau has to offer. Plan ahead and reserve your summer stay now! Stay two nights and receive 15% savings Stay three nights and receive 20% savings Stay four nights and receive 25% savings BOOKING WINDOW: Now - September 30, 2019 TRAVEL WINDOW: May 23 – September 30, 2019 TERMS & CONDITION: Offer based on double occupancy in all room categories, for travel through September 30th, 2019. Offer based on availability and blackout dates may apply. Offer cannot be combined with any other discount, and is not applicable to groups. A Hotel Fee of $32 plus tax per day, per room will apply to your booking. This fee includes: unlimited wireless internet access in guestrooms and at the pools, Gym access, one daily fitness class per reservation based on availability, beach chairs for all registered guests in party, portable phone chargers available throughout the property, local dialing and toll-free calls, access to refresh lounge, and daily newspaper.